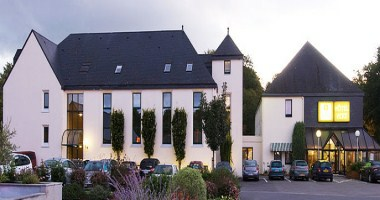 Hotel Vert is ideally located in the city of Mont Saint-Michel in France. 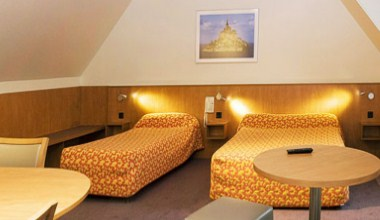 The hotel's 54 spacious and pleasant rooms have recently been renovated and repainted in pastel tones. The hotel is open all year round, 24 hours a day, 7 days a week. 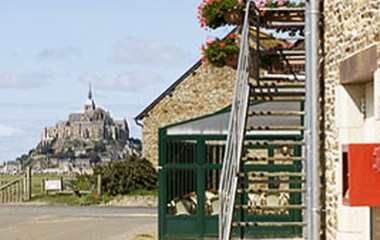 Its staff, ever mindful of your relaxation and comfort, are available to answer any questions and tell you about the most important places to visit on the Normandy or Brittany side of the Bay of Mont Saint-Michel. Since 1953, the La Rôtisserie has been preserving culinary know-how and tradition, an ideal stop to enjoy the regional specialties of Normandy and Brittany. Please come to this hotel to enjoy its spectacular services.